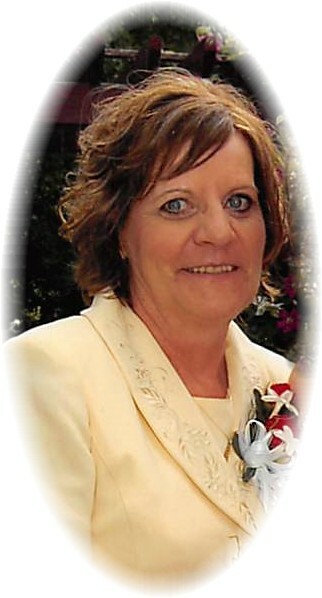 Marsha Strang, 64, of Forsyth passed away peacefully in her home on February 1, 2019. She was born on October 25, 1954 in Dickinson, North Dakota to Jerry and Evelyn Dinius, she was the fourth of five daughters. She moved to Forsyth in her early childhood, where she attended school. She later graduated from Forsyth High School. Marsha met the love of her life, Jay in High School. After graduating, they were married in 1972. To this union, they had four children: Jennifer, Jeremy, DJ, and Sandra. Marsha enjoyed gardening, being around her family and friends, camping, and bowling, as well as her famous clogging. She had many different jobs, but her job she loved most was being a mother to her four children and becoming a grandmother. Marsha also really enjoyed driving bus for Rosebud Healthcare Center and spent most of her time with the patients. She was always a faithful friend and you could always count on her. She was preceded in death by her loving husband, Jay; father, Jerry Dinius; and sister, Sandy Fitterer. Marsha is survived by her mother, Evelyn Dinius; children, Jennifer (Chris) Mills, Jeremy (Emma), DJ (Jessica), Sandra (Quentin) Kilwien; 6 grandchildren, Taylor, Tiana, Morgan, Jaycob, Wyatt and Landon; sisters, Wanda (Dennis) Russell, Debbie (Leon) Riley, Brenda (Craig) Stellmach; special friend, Roger Berdahl and numerous nieces and nephews. I am so sorry to Marsha’s family. I worked with her at the hospital and she was always nice. You are all in my thoughts and prayers. Roger, so sorry to hear of your loss. Remember that I love you and will be praying for you as you walk through this difficult time. My heart and prayers are with you. Saying that final goodbye to a mother is difficult. My thoughts go out to the families and friends of Marsha. So sorry to your whole family on this loss. Love and prayers. To all of the Strang kids and Roger..
Jennifer, I’m so sorry to hear of your Mom passing. Please know your whole family is in my thoughts and prayers. Marsha May, may the God’s wrap you in their arms. I am so saddened to know you have gone to the Night World. May you find peace in your travels. May the good Lord wrap your children in his arms and heal their hearts. Roger, I am sorry for your heartache. Many blessings to all. Our deepest condolences and heartfelt sympathies go out to all of Marsha’s family at this difficult time. Our hearts are breaking for Jennifer, Jeromy, DJ and Sandra and your families! Our hearts and prayers are with you all! We love you! HUGS… Aunt Kathy and Grandma Strang-Hart. To all my family in Forsyth , we are deeply saddened by the sudden loss of Marsha. May the good Lord comfort each and every one of you in this most difficult time. I am so sorry for your loss. May you find comfort and hope in God’s promise that soon “death and pain will be no more.” Revelation 21:4. I am deeply saddened by the news of Marsha’s passing. My thoughts and prayers are with you and your family. Was very saddened to hear about Marsh’s passing, may the Creator welcome her with open arms and comfort all the members of her family and friends. Rest in peace Marsha. Was very saddened to hear about Marsh’s passing. May the Creator welcome her with open arms and comfort her family and friends. Rest in Peace Marsha. Was very saddened to hear about Marsha’s passing. May the Creator welcome her with open arms and comfort her family and friends. Rest in Peace Marsha. Jennifer, I am so sorry to hear of the loss of your mom. My heart aches for you and your family, it is so hard to loose our loved ones. I Have a lot of good memories of your family that I will always hold dear. Your mom was very special. I watched the video. Always hold onto the memories. Our thoughts and prayers go out to Marsha’s family, may she rest in peace. I was a classmate of Marsha’s in the class of 1972. It was a special time and place back then growing up in Forsyth. I have many fond memories of the Dinius family.